Ø§Ù„Ø±Ø¦ÙŠØ³ÙŠØ© / FBCacheView / How to find Facebook pictures stored / social media / software / How to find Facebook images stored on the cache memory of the browser? How to find Facebook images stored on the cache memory of the browser? 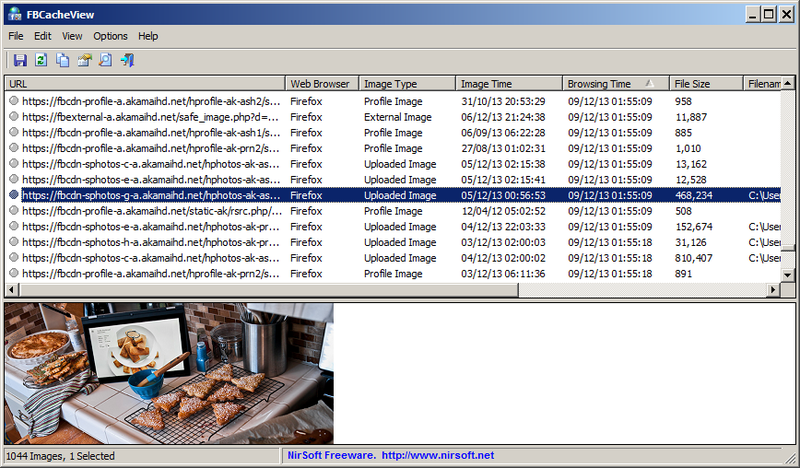 FBCacheView is a free program that allow us to find the Facebook images stored in the cache memory of the browser. It is a way to find images and pictures we shared or added to our Facebook profile and are still stored online in the cache memory of each browser used. If you want to find a hundred images that you shared and you have forgotten to give a first attempt to FBCacheView. FBCacheView is a tool that bears his name. We can see thanks to it all the Facebook hidden images on the browser. It works on all browsers including Internet Explorer, Mozilla Firefox and Google Chrome course. 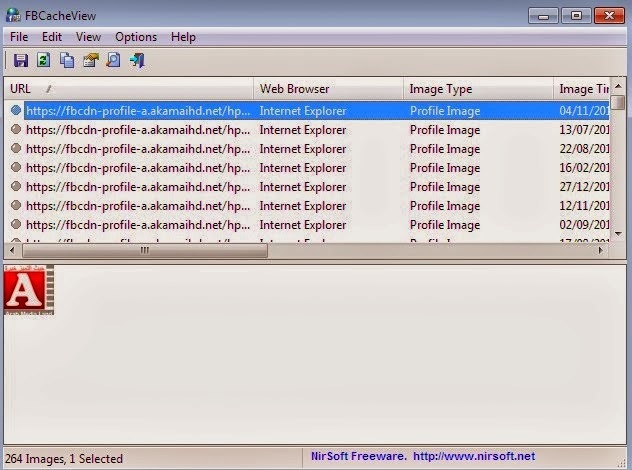 Simple to use just download it in seconds in a compressed file and install it. No action on our part is necessary unless you wish to customize the search images. Once started, the program automatically searches images and shared on Facebook and hidden in the browser's memory and class pictures. 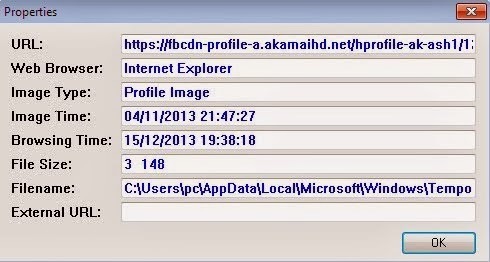 Once completed we will be able to copy the link of the image and reopen the browser or download it on our drive. We can also see more information about a selected image. To find a specific image, simply enter a keyword corresponding choosing the "find" option.